LONDON ― British Ministry of Defence officials have defended the decision to forgo a competition and instead name the Boxer wheeled armored vehicle as its preferred choice to equip new Army strike brigades. In explaining the move to lawmakers, the officials said the German-developed machine stood out from its rivals. “When we looked at the marketplace, the Boxer was the standout vehicle, and procuring through OCCAR (Organisation for Joint Armament Cooperation) offers us a lot of value in the way we can acquire that vehicle,” Lt. Gen. Paul Jaques, the MoD’s chief of materiel (land) told the parliamentary Defence Committee on April 24. Jaques said the Boxer was chosen without competition because it is the best protected vehicle available, has the best power-to-weight ratio, has the best mobility and has proven its reliability in service with the German military in Afghanistan. The British had come to the same conclusion as the Australian Army, which recently announced it was purchasing the Boxer, Jaques noted. “We carried out an exercise done at reasonably low cost, working with our allies and doing some very sensible interrogation of the marketplace based on what exists, and we came to a conclusion. And the Australians, running a parallel fully competed system, which cost them a lot of time and money, came to the same conclusion,” Jaques told the committee. “The Australians last week have opened up to us all the data from their competition. What that gives us is a mine of data for us to understand what we will shape, what we will do in the demonstration phase,” he said. He added that exactly the same vehicles considered by the Australians were looked at by the British. Jaques said working through OCCAR was a big plus and will bring transparency to the procurement effort. OCCAR manages the program for the German and Dutch governments, which are joint partners in the program. Lithuania has also purchased the Boxer, and Slovenia also recently selected the vehicle. 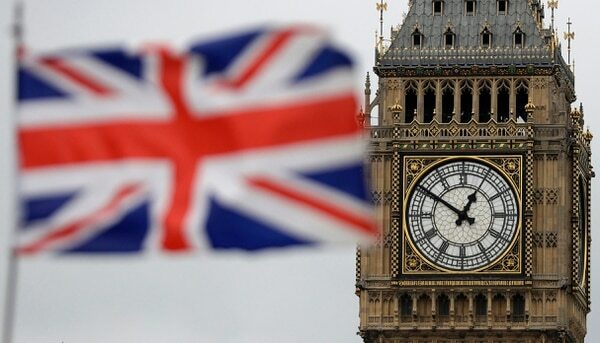 London and Berlin have completed negotiations on a document to provide top cover for future co-operation activities and are looking for an opportunity to sign the agreement, said an entry tucked away in the U.K. Ministry of Defence’s 2016 report and accounts published July 19. The Defence Committee quizzed MoD officials, including Jacques and Minister for Defence Procurement Guto Bebb, as well as Boxer industry officials over the decision to select the Artec-developed machine without holding a competition ― a move that has angered rival eight-wheel drive armored vehicle makers and subsystems suppliers. General Dynamics, Nexter and Patria were among the companies offering eight-wheel drive vehicles to meet the mechanized infantry vehicle requirement. The committee called the one-off session after the MoD slipped out the widely expected announcement during parliamentary recess that it had chosen the Boxer for the mechanized infantry vehicle program. Bebb offered reasons for the curious timing of the announcement, Chairman Julian Lewis seemed less than convinced. Subject to commercial negotiations, the British Army will buy about 500 Boxer vehicles over a five-year period with the first platforms scheduled for delivery in 2023. The procurement minister said the program was fully funded and set to cost £4.4 billion (U.S. $5.4 billion) for procurement and the first 10 years of support costs. Bebb said the decision to go forward with the Boxer proposal did not mean the MoD had reached main gate ― what the British call the manufacturing contract stage in the procurement cycle. The program was now in the assessment phase and a final go-ahead decision will be made by the final quarter of 2019. “We still need to ensure we get the right value for money from this process, but we are confident this offers the best opportunity to secure the best possible deal for taxpayer and the best capability for the Army,” Bebb said. If there were “unforeseen circumstances,” Bebb said, the issue would need revisited. However, he noted, that would prove challenging because of the need to ensure provision of the capability within the Army’s envisaged timescale. It wouldn’t be the first time the British had come unstuck in final negotiations for an eight-wheel drive vehicle. General Dynamics was selected as the preferred contractor by the British to supply its Piranha V for the Army as part of the Future Rapid Effects System program, but the deal fell through in 2007 when the two sides failed to agree on terms. One of the rival vehicles it beat in the competition was the Boxer. Now, the British want the Boxer as a key component of two strike brigades now in the process of being formed by the Army. The other major vehicle requirement is for the tracked Ajax armored scout machines built by General Dynamic . The MoD was part of the Boxer program alongside the Germans, but the ministry exited the development 14 years ago, citing weight growth that made the vehicle too heavy for transport by Royal Air Force C-130. It also cited requirement changes as a reason behind the departure. Now, it has opted to rejoin the program. The U.K. Ministry of Defence has opted to rejoin the Boxer wheeled armored vehicle program with the intention to equip the British Army with the 8x8 starting 2023. In the meantime, the Dutch had joined the program alongside the Germans with several hundred vehicles being delivered to both nations from assembly lines in both countries. 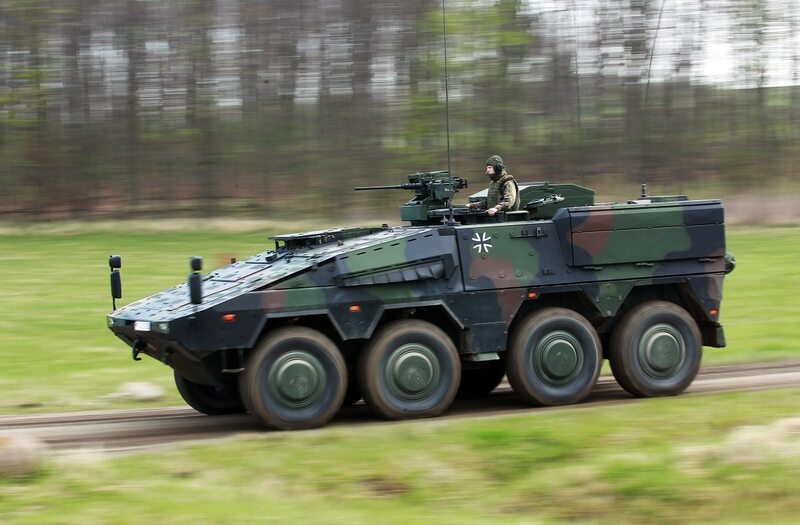 Artec ― the joint venture between Rheinmetall and Krauss-Maffei Wegmann ― who is responsible for the Boxer program, said it is committed to creating or sustaining at least 1,000 jobs in the U.K. if the procurement actually happens. At least 60 percent of the value of the program will be generated by companies in the U.K.
Artec has already signed a memorandum of understanding with several local firms in Britain, including Pearson Engineering, Raytheon UK and Thales UK, to undertake significant work on the program. Hull fabrication and assembly will occur in the U.K.
Boxer looks unlikely to be the only armoured vehicle purchased by the British without a competition this year. The procurement minister told Parliament earlier this month that the MoD soon expects to buy a second armored vehicle off the shelf ― this time from Oshkosh. “The Multi-Role Vehicle―Protected program is being delivered in two packages. For package one, the command, liaison and logistics vehicles, the Joint Light Tactical Vehicle manufactured in the United States by Oshkosh has been identified as the preferred option, with the U.S. Department of Defense Foreign Military Sales acceptance letters expected to be signed shortly,” Bebb had said.